Welcome to Little Miss Arkansas! We are so glad you stopped by the Little Miss Arkansas Pageant Web site. We are celebrating our 39th year anniversary. Focusing on family values, natural beauty, talent and poise, Little Miss Arkansas is truly looking for a “total package.” Our girls can be seen around the state involved in school, church, community activities and charity events, thus enhancing social skills and promoting worthwhile causes and events. We invite you to look around our site. If you are interested in becoming part of our Little Miss Arkansas Pageant family, please email us with your contact information. 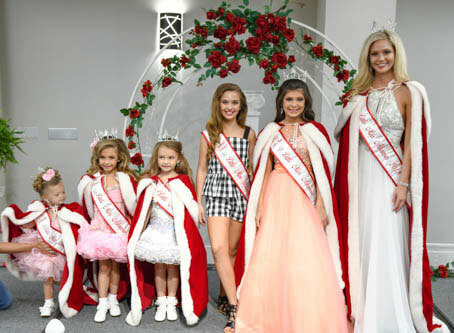 The 2018 Little Miss Arkansas Pageant was held at the Hotel Hot Springs in Hot Springs, AR. The pageant was open to any Arkansas girl between the ages 0-17. There were 5 age groups competing in Pageant Dress and Casual Wear. There was also a talent competition with an Over-all talent winner. For more information on the Little Miss Arkansas pageant call 501-318-7876. Winning is important… but not as important as the lessons of friendship and sportsmanship. Our competition is dedicated to the contestants and their families who want to make wonderful memories and lasting experiences. We would love to have our queens at your next event! Special requests can be put in for one or all for the following areas: Award Presentation, Registration, Parades, Fashion Shows, Hostessing, Networking or Facilitating a Community Service Project, and more. Please submit an email to our office and let Little Miss Arkansas’ ambassadors give your next event that special touch!Click here to e-mail us. © 2012 Little Miss Arkansas Pageant.